A complex overshot hand weave that features a grid that seems to sizzle around substantial size squares divided in four for further visual interest. Woven in two panels with a center seam. 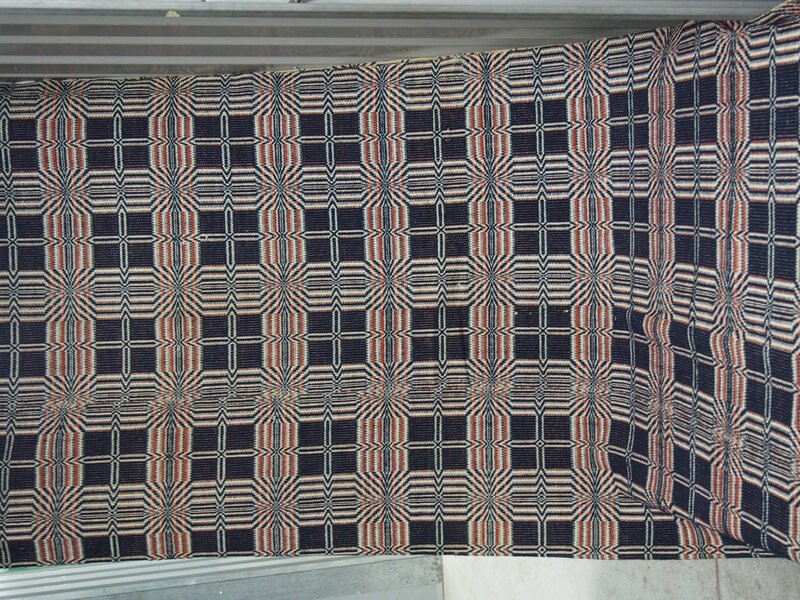 I need to consult weaving books to see if there is an exact term for this dramatic weaving pattern. In indigo and red wool combined with white cotton, the pattern on the reverse side differs in which color dominates, so the buyer gets essentially two different looks from the one coverlet.